As the season starts to change, inevitably women also tend to change their fashion & style. And as the weather starts getting colder, ankle boots rise up and to find their place back in the trend. Ankle boots, also known as booties are an essential part of any woman’s wardrobe. And the ankle boot trend stands so strong in the fall that it is known as the ankle boot season to women. But the problem that women face most is what to wear with them to bring out their full potential. For those who don’t know what an ankle boot is, it is a kind of short boot that covers the foot and stops just above the ankle. It really is a perfect transition piece that is good for all kinds of weather. It covers more skin than sandals in the summer and protects your legs from the burning heat of the sun. That said, it isn’t too long like a full-length knee high boots which are ideal for the coldest of winters. Waterproof ankle boots will also help you avoid drenched feet in the rainy season. 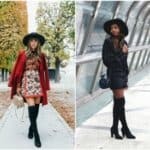 There are many different variations of womens ankle boots / booties out there: wedge, cut-out, heel, laced, flat, buckled, embellished / embroidered, etc. Try them all out to find out which one suits you the most. Having all these types of ankle boots out there it won’t take long to find your perfect matches. But colour choice is still a matter of thinking. There are a wide number of colours when it comes to the ankle boots. Depending on your clothes you can choose matching colours of ankle boots. But if you’re having a problem deciding which colour to choose, you can always choose the black and brown neutral. 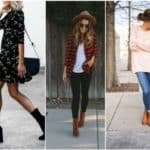 The best way to bring out ankle boots potential and make them look flattering is what you choose to wear with them. Let’s get a look into it. One of the best properties of low cut boots is that they’re quite versatile and suit almost every style of dress. 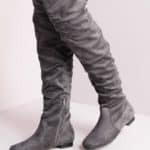 No matter what you wear, whether it is jeans, a skirt, pants, dress or jumpsuits, ankle boots can provide an excellent choice when it comes to footwear. You can even experiment with Cuban heeled chukka boots or Chelsea boots to find a match that goes with your personal likability. They even go astonishingly well with leggings and sweatpants. 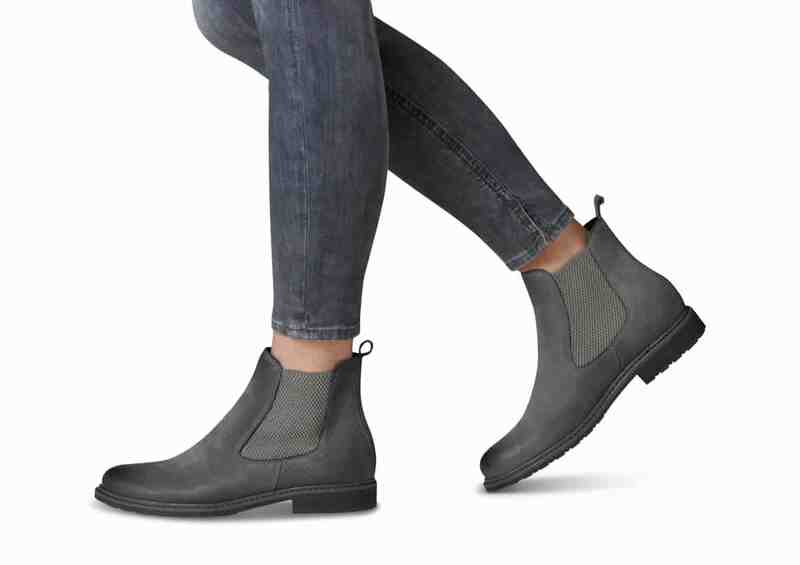 Also, these shoes are perfect in winter and fall. No matter what the occasion is ankle boots will suit your style. Whether it’s a hangout, an evening out or work, ankle boots will match your style needs. This pair is a match made in heaven. Ankle boots are outstanding in jeans. Both are classic and casual to wear. Not only that the combinations look good, but they are also perfect for the casual and light occasion. 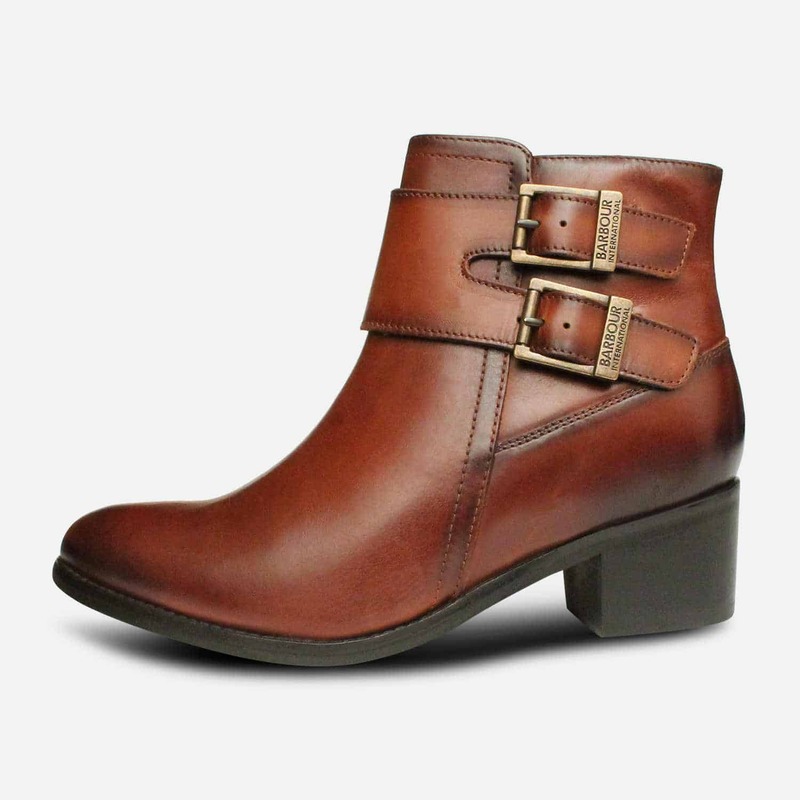 Because ankle boots have a slim silhouette, they are best when accompanied by skinny or tight-fitting jeans. You may be thinking what else but jeans to wear with ankle boots. You’ll be happy to know that ankle boots go well with other outfits too such as, dresses and skirts. Pairing your trustworthy ankle boots with a dress or skirt might bring out the hidden talents of your ankle boots. Don’t be afraid to experiment with your ankle boots and try out different outfits with them. Who knows, you might discover something amazing and even become a trendsetter. If you think ankle boots are only good for weekends and hangouts, you might need to rethink. These flexible shoes are more than good enough to wear them at your work. Smooth and clean leather ankle boots will match well enough with your work style and will also provide you an aesthetic look. Tucked in shirt, suit, longline blazer or dress whichever you choose, ankle boots will follow you through them. If you’re trying to get a casual look, try heeled ankle boots. But, if you’re looking for a relaxed aesthetic look, flat ankle boots are the right choice for you. Try to make them look a bit edgy so that they don’t appear to be plain and boring. You can even try pairs with buckles or studs to get a bold and fashionable appearance. Black skinny jeans also look amazing with flat ankle boots and give them an edgy and stylish appearance. Depending on how you wear them ankle boots may enhance your overall style. 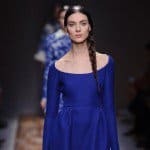 Try out these styles and see if they suit you. You can try tucking your pants in your ankle boots. Doing so will create a long, lean leg line. It will work best with your leggings and sweat pants. Rolled or double cuffed jeans go well with ankle boots. This style will allow a little bit of your ankle to show through and highlight the skinny area down there. It’ll also keep your ankle from looking wide. Works best with skinny jeans since straight-legged or wider-legged jeans shorten your leg line when rolled. The pair of jeans and booties goes really well with half cuff. It’s a fun and effortless look when paired with oversized tee and sunglasses. Socks and bare legs go really well with ankle boots. Any above knee dress or skirts, neutral coloured socks and ankle boots make good of a match. A tip, don’t go for dark socks if you’re light-skinned. And as I have said before, don’t be afraid to experiment with your ankle boots. Keep trying new styles to see which one suits you best.